Agraria's olive oils continue to collect success after success, on a national and global level. Today we celebrate the awards received from three major oil competitions. February and March were fruitul months for Agraria Riva del Garda, which has seen its extra virgin olive oils awarded with several important prizes. 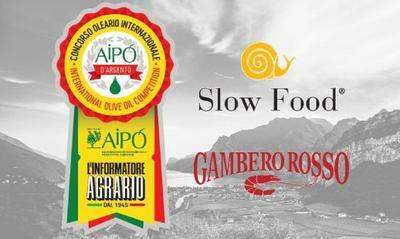 This year at the competition Aipo d’Argento Agraria Riva del Garda can boast a gold and a bronze medal. 46° Parallelo Biologico won the first place in the category of biologic medium fruity olive oils, Italy’s highest accolade for high quality extra virgin olive oil. Uliva – which won the first place in 2018 – won the third place in the category of DOP/IGP medium fruity olive oils. Big news also from Gambero Rosso, which has elected Uliva as 2019’s best medium fruity olive oil. The result will be captured in Oli d’Italia. I miglior extravergine, a guide out in March. It’s not the first time that Uliva is cited inside the renowned publication: our oil for specialists was already in the previous edition, awarded with two red leafs, a prize reserved for olive oils of excellent quality. 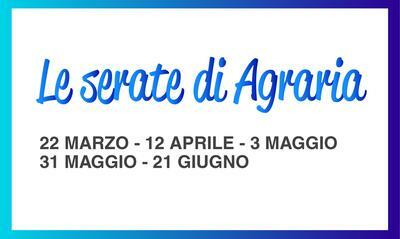 The list continues with Slow Food’s Guida agli Extravergini, a guide this year at its twentieth edition. Identified among the protagonists of 2018’s olive oil production, our Uliva and 46° Parallelo Monovarietale have been awarded with the award Grande Olio (“Great Oil”), assigned to the extra virgin olive oils that stand out for their organoleptic value and their adherence to the territory and its cultivars. We end with the three great mentions that Sol d’Oro assigned to Uliva in the category of intense fruity olive oils, to 46° Parallelo Biologico in the category of biologic olive oils and to 46° Parallelo Monovarietale in the category of monovarietal olive oils. It’s always a pleasure to see our efforts and passion confirmed by prestigious events like these.